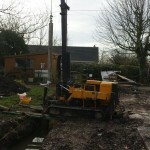 Grundomat mini piling is mainly designed to support structures with restricted access i.e. 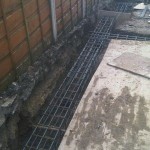 domestic properties for extensions and underpinning. 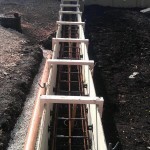 Steel tubular bottom driven piles are welded together, installed to a required resistance in the ground, the pile is then infilled with C35 concrete and sheet re-enforced bar top to bottom. For many structural engineers, site managers and home owners faced with a seemingly insurmountable problem, WL Piling is the first name to call. They value our expert advice – and with good reason.